Shane and I were hoping to have a riot on our first day on the road together. We hadn't expected it to materialise within 5 minutes of leaving our hotel room though! Actually it's not uncommon to find protesters on the road in the Americas. Sometimes you have to gently negotiate your passage through, with people lying in the road, rocks strewn on the tarmac to stop the cars, and fires blazing amongst the banners. Sometimes it can be a little intimidating and sometimes they take some persuading to let you through. This time though, despite the hundreds of riot police at the ready, the teachers union did not appear to be preparing for a battle of the violent sort. The police were pretty relaxed behind their shields and spent much of their time texting or chatting! We got through without confrontation from either side. Having spent some time chilling at a nudist/hippy beach on the Pacific coast and some time shopping in the city of Oaxaca, I am ready to move on. After a few issues with my hands, wrist and shoulder, I went to see the Doc. He informed me I had Carpal Tunnel Syndrome as well as a few pulled tendons. Nothing that a bit of rest won't sort out!.........And so, this is my rough route over the next month (give or take a few off road sections where possible)! 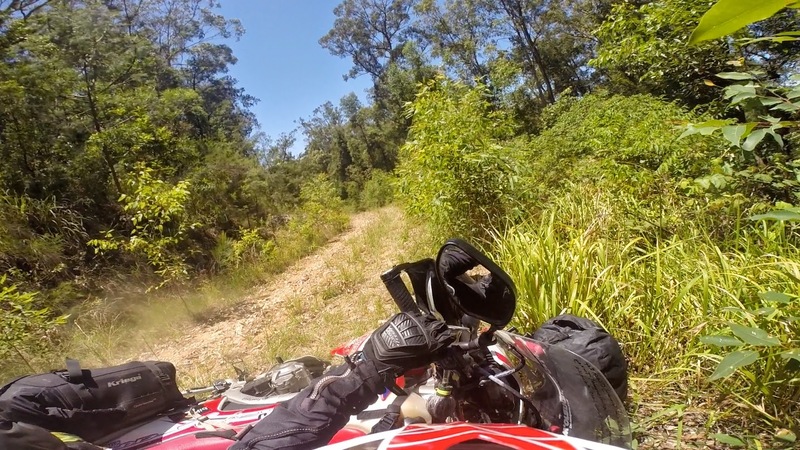 Let's face it, I don't have a riding buddy very often, so we have to make the most of it right? 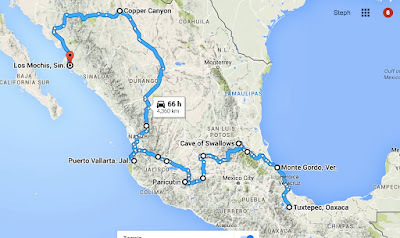 The rain mercilessly continued as I headed for the Mexican border. 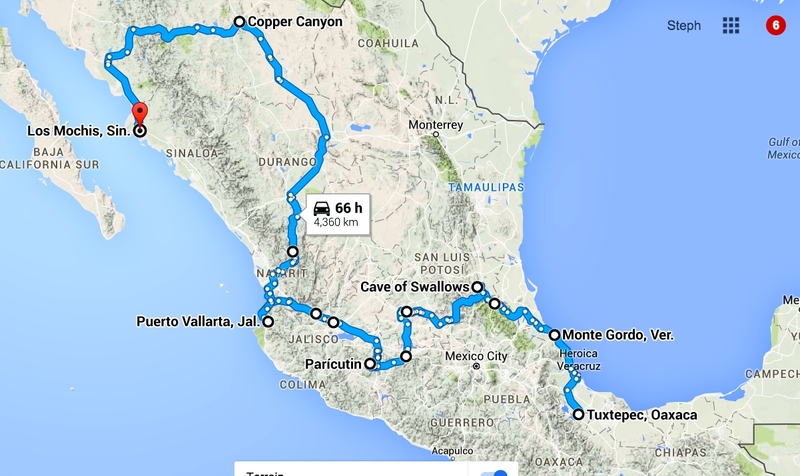 I had 600 miles (and the border) to ride in 2 days if I was to make it to Zipolite in time. 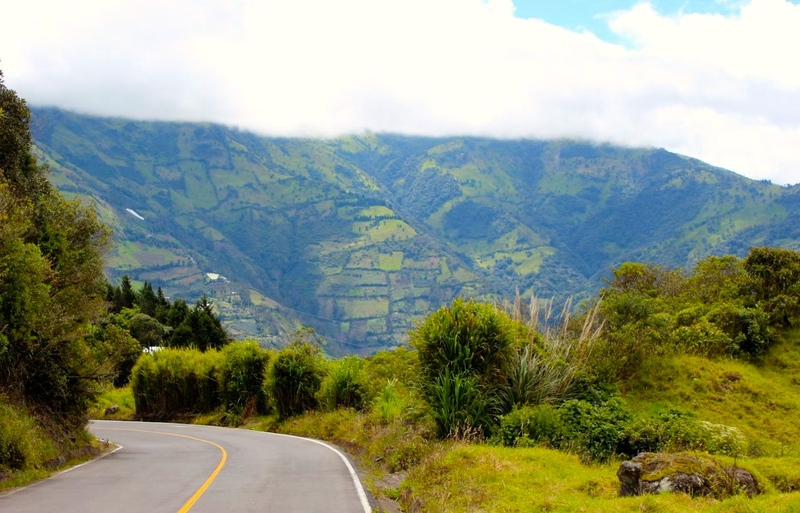 The Guatemalan postal system had robbed me of the luxury of waiting for the weather to ease. It was time to zip-up and crack-on. I wrapped my clothing in bin bags before packing them up and hoped that this time, I could avoid the lump of smelly, damp clothing that I had enjoyed upon arrival in Guatemala City a few days earlier. I was optimistic at best. I had a date in Mexico and I hate being late for anything. It's the British in me (although I don't always join the back of the queue these days and a decent cup of tea is a thing of the past). Shane, who I had met in Australia, and then again in the UK, was flying from Japan to join me in Mexico. 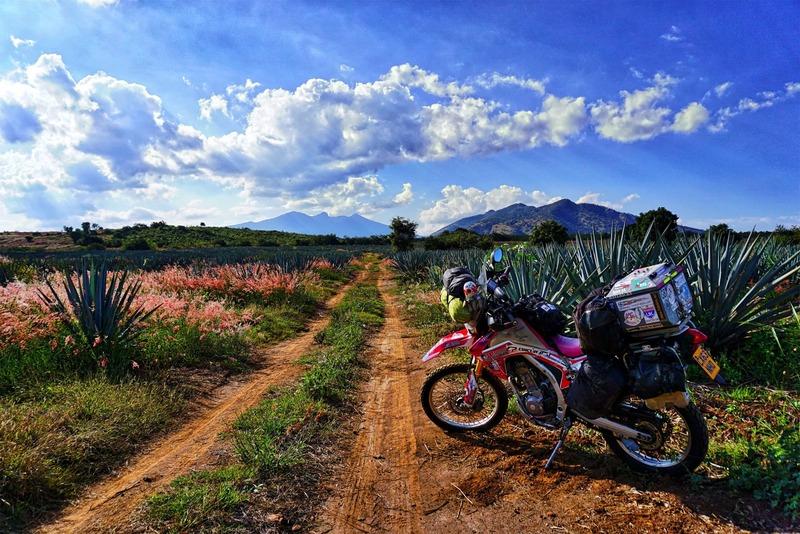 He had parked his bike up for the winter and was coming to see what Mexico had to offer for a while, before heading back to Oz. 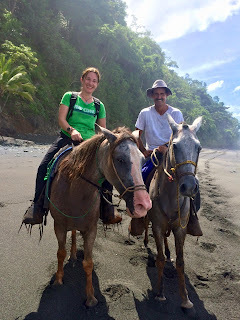 Rhonda and I had arranged to meet him in Zipolite on the Pacific coast - A place I picked at random off the map. Belize may as well be on a different continent to the rest of Central America. As soon as you cross the border, everything changes. Formerly know as British Honduras, Belize became a Crown Colony in 1862, and changed its name in 1973. Belize was given full independence from Great Britain in 1981. It still carries the Queen's Head on its coins today. The mostly Afro- Caribbean descended population, speak with a Jamaican accent, and speak both English and Kriol (an English based language). It's a tiny country, with a big personality and a lot of history, which is clearly evident in its present culture. 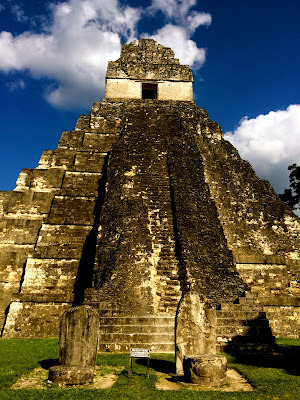 Trying to Tikal the boxes! The problem with Tikal is the wildlife! They are extremely inconsiderate when one is trying to sleep under canvas and, yes I’ll be honest, its quite scary when you’re not sure what’s making the noise in the dead of night and there is no one to hear you scream. OK so logically I know that monkeys will most likely stay in the trees and Jaguars and Pumas will probably want to keep their distance (I would have been lucky to see one). I know that the majority of spiders are harmless and the snakes too will only bother you if you scare them (which I had no intention of doing). I know too that murderous humans are rare and aliens are even rarer! Logic often runs away and hides in the nearest unobtainable crevice at these moments though, leaving space for Mr Irrational to waltz in and smugly hijack the empty stage! His patience paying off, having been waiting on the stand-in bench, rehearsing his lines, preparing for this moment - to shine once more. There was no camping in the end. The rain continued to fall in San Salvador and motivation to sleep under canvas disappeared down the drain along with the rainwater. Friday night saw us frequenting a local bar instead. There we came across some interesting characters. First there was the lady dancing around with a beer bottle balanced on her head - much to the security guards dismay! He tried to stop her several times but the fact that he had a Mossberg (a big gun) strapped around his neck did not put her off. She actually did extremely well considering her obvious inebriated condition. I was quietly impressed, although I made the mistake of making eye contact at one point and found her dancing in front of me demanding my full attention and approval. 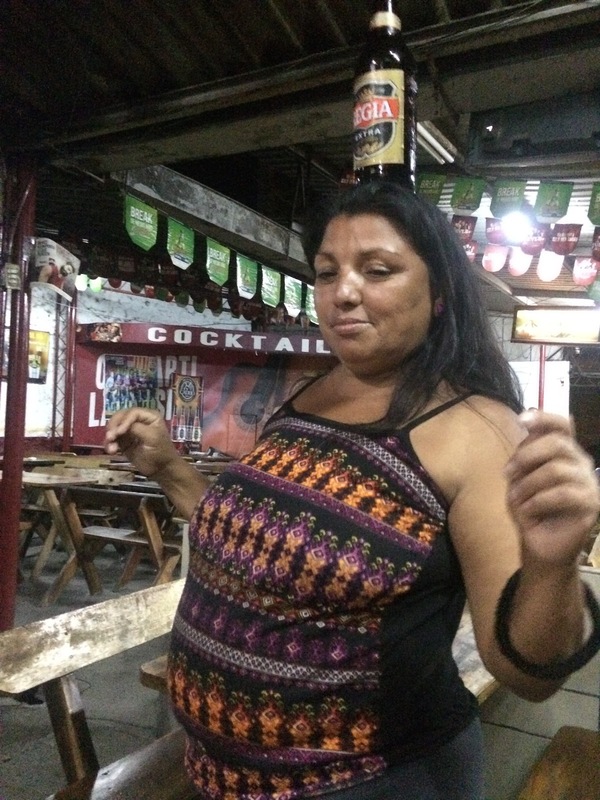 She was gently moved on by the barman, who was now beginning to lose his patience. Most overlanders race through El Salvador and Hondures, and quite honestly, who can blame them. El Salvador is tiny. It's about the size of Wales and yet it has more than twice the population - currently at 6.3 million. This year (2015), it earned the ignoble status of highest murder rate in the world (not including current war zones like Syria). Compared to the UK as a whole (with a population of 64 million), you are 40% more likely to be murdered in El Salvador, 3 times more likely to have aids and chances are you would earn 80% less income. Times can be tough on the road just as they can be at home. Nick Sanders wrote about 'the loneliness of the long distance biker'. Nathan Millward wrote about his 'black periods'. I have had my fair share of both and I am sure that most solo riders find themselves here at some stage or another. I think most will agree that it's no fairy tale - but it IS worth it. Its a roller coaster ride and as long as you can accept these down times as being part of the ride - well then you are half way there. It's what makes the good times special. 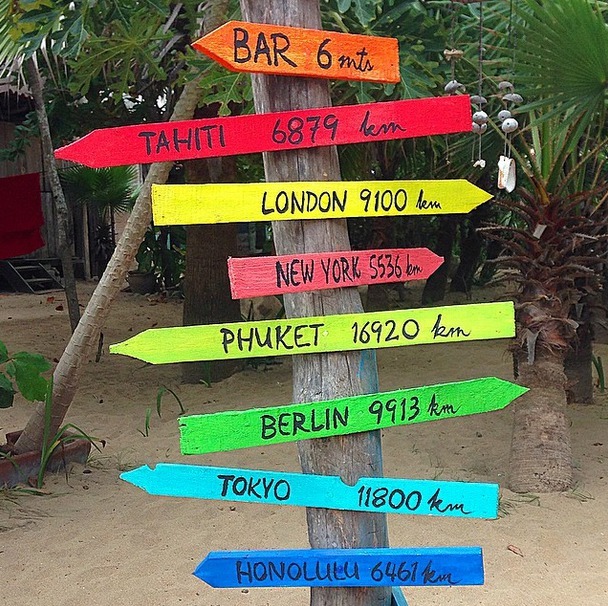 The longer you travel, the more chance you have of experiencing them. It's not realistic to expect anything less. This is where your endurance comes in. The Costa Rican Border was fairly quiet. The queues were low but the humidity was high. Staying still for longer than a few seconds, without the breeze working through my jacket was uncomfortable. I’m used to this now but with each border, rather than getting easier, I find it more and more difficult not to show my frustration with ridiculous processes. Go to window 1 - show your paperwork - get your stamp - get sent to window 2 - get sent away as you dont have photocopy of stamp from window one! Cross busy road - find place with photocopier (despite the fact there is a perfectly good photocopier right next to the official in window 2) - go back to window 2. Now there is a big queue. Mutter under breath - wait in line and feel the drips of sweat building up and trickling down your back, neck and forehead. Get to front of queue only to be told you need insurance paperwork. Why did they not tell me this the first time around? Find insurance office - pay money - go back - wait in line - get stamp…..it goes on for about 2 hours before someone comes out and checks your bike. If you’re lucky, they just check the reg and vin. If you’re not, they take your bags apart. Patience is wearing thin. These days I feel like making suggestions on a smarter system. I don’t. I mutter occasionally, then catch myself and remember that my life could be a lot more difficult if they feel my intolerance! All I’m saying is that sometimes it’s hard to smile at red taped incompetence! There is probably a wise Dalai Lama quote for just this instance, but a fan and an ice tea would work far better. Common sense would be another option! It’s like they WANT to make it as long-winded as possible. I'm not one for the big bike v small bike argument. 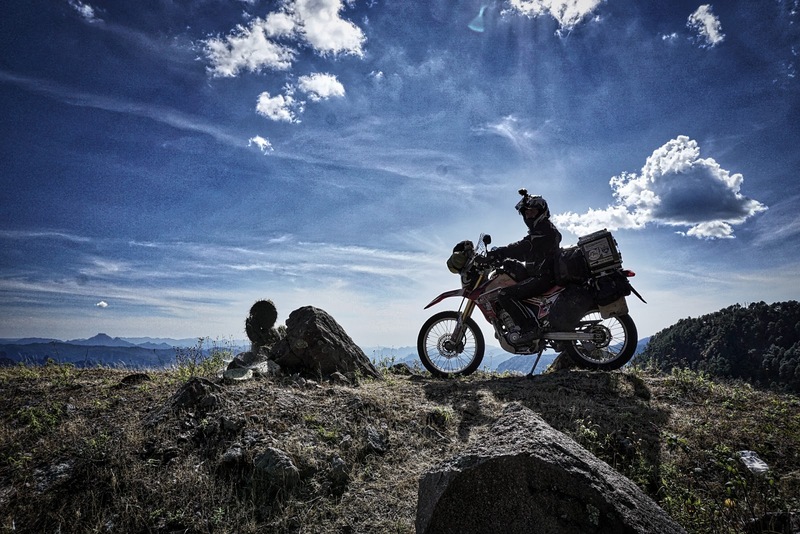 We all have our reasons for riding whatever we ride. I guess the only question for me is - Has MY choice of bike served me well? 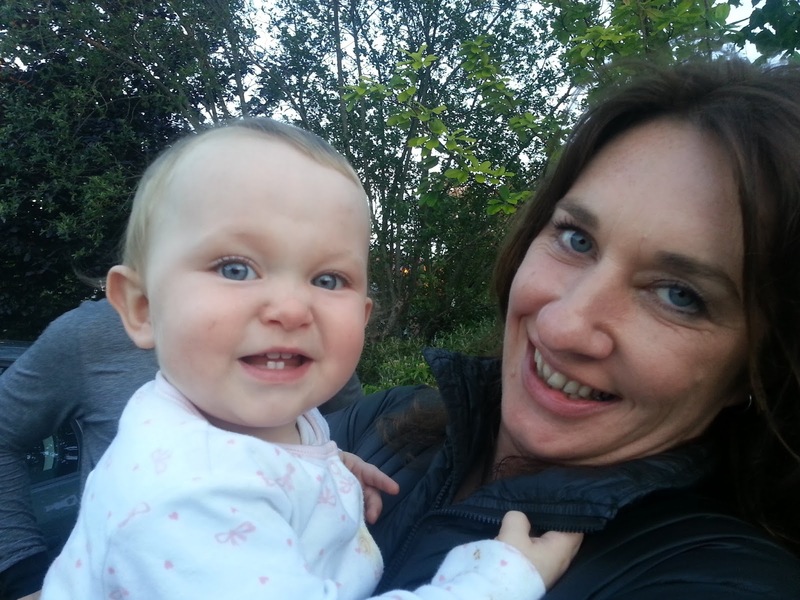 Time has flown by since my last blog post. As have I. 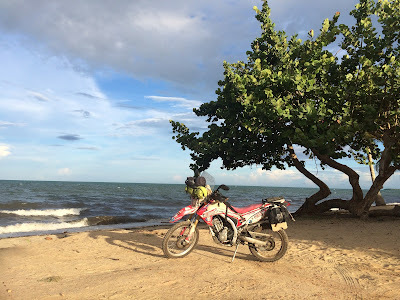 This leg of my journey has brought me back over the ocean to join the Honda team and a few motorcycle journalists for the Isle of Man TT and Goodwood Festival of Speed. Ironic really, as I never made it to the TT whilst I was in the UK but now Honda's wings (or British Airways to be precise) have flown me over in 18hrs. 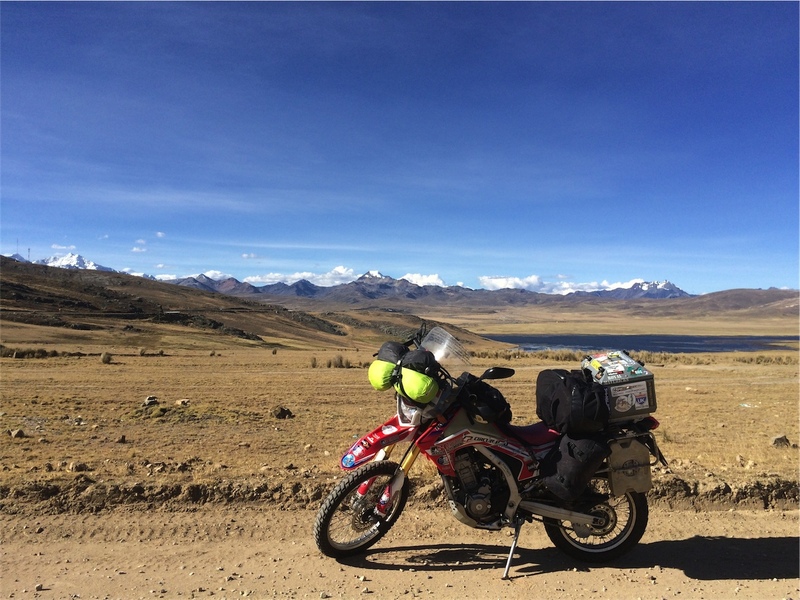 A journey which took 14 months on my bike! Just nine weeks left before we close the competition folks! Don't forget that not only can you win a brand new "Rhonda" of your own, but also a bikers holiday at MotoBreaks in France and plenty more biker booty too! I am now home in the UK to attend the TT and Goodwood Festival of Speed. If you're going to either then I will see you there! I can't wait! Having failed in my mission to meet Pacha Mama via the ancient inca methods of ceremonies and hallucinogenic plant forms, I decided it was time to revert to my old ways of getting close to Mother nature. As there is a serious lack of Welsh forestries in Peru, I had to settle for the Amazon. You won’t find Chocachanta on the map. 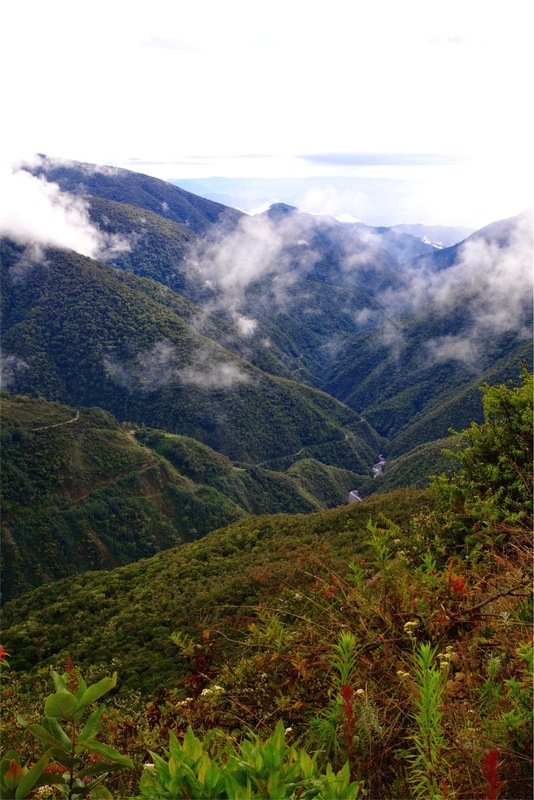 It’s 22 inhabitants are blissfully hidden in the misty amazonian cloud forest about 6 hours out of Cuzco. While everyone else headed North to Machu Pichu, I headed east, back over the Andes and down in to Kosnipata Valley and Manu National Park. Here in Chocachanta I would meet Jose, a 60 something year old who, as far as I could make out, has spent most of his life travelling the world studying insects. Jose is a Majorcan who settled here about 6 years ago. His friend and partner in crime is 30 something year old Paolo, from Barcelona, who joined him 2 years ago after coming for a short visit and accidentally falling in love with the place. Together they set up Reserva Tierra Linda. This would be my home for the next two days. 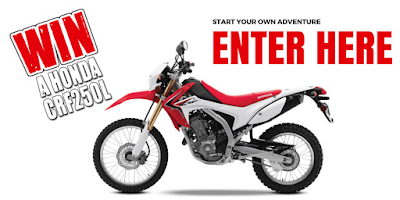 Today sees the launch of my fundraising competition where you are in with a chance of wining a brand new Honda CRF250L as well as several other great prizes like a weeks holiday with MotoBreaks in France or a days off roading at the Dave Thorpe Honda Off Road Centre. There is even £100 cash prize to start saving for YOUR next adventure and many more great prizes. All you have to do to enter is click on the link below and choose how many tickets you want. 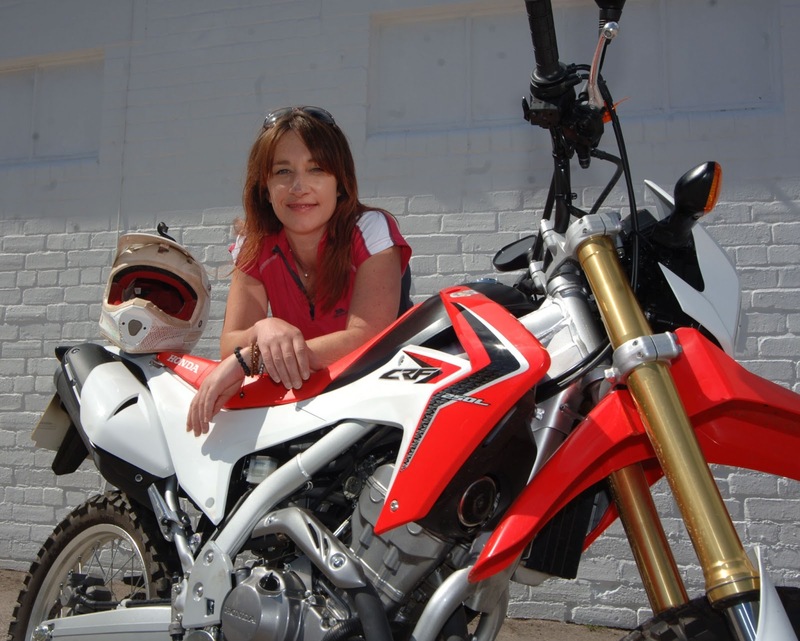 With thanks to Honda UK, MotoBreaks, Kriega, Auritech, Dave Thorpe Off Road Centre, Ride Magazine and my parents for providing some great prizes. As the clock on the dash struck 65mph I shut my eyes and counted. 1,000, 2,000, 3,000.....I managed 15 seconds before I had to open them again. As I did the rush of white all around me was totally surreal! It was a great feeling and I had to do it again moments later. This time I made it to 17 seconds. What a rush! This is just something you have to do on the Uyuni Salt Flats. It's a must! It turns out there is a well known challenge to see if you can make it to a minute! I didn't know this at the time but I never would have made it anyway. It takes a great deal of faith to do that. 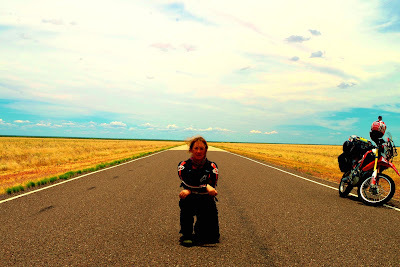 One whole minute is a very long time to be riding a bike with your eyes shut, even if you are on the biggest, flattest salt plain in the world! I couldn't feel my hands. My feet too, were going numb and my legs were tingling. I briefly looked up at the stunning display of stars above me before tucking my head back down and resealing any draughty spots! It was cold! It was 5.30am and I was riding on the back of a KTM 990 Adventure, on a mission to pay an early morning visit to El Tatio (The Grandfather). El Tatio is one of the highest Geyser fields in the world at 4320 meters and it's worth catching at first light while it's still cold. The difference in temperatures between the air and the water creates the most spectacular display. This is what we were told and it seemed we were willing to bet our fingertips on it! My trip to Mendoza ended in mission incomplete although I would not call it a total fail! Mendoza introduced me to some great people, a friendly hostel (Banana Hostel) and of course I met up with Mathiew, the KTM rider from France. However, after waiting a couple of days for the Honda dealer to open, it turns out they did not have the parts I needed and it would take 2 weeks to get them. By now, my chain was in desperate need of replacement, my headlight was still only working intermittently, I needed a new back tyre, the top box bolts had broken again (third time) after all the corrugated roads and my steering bearings needed a clean and some grease. Rhonda was feeling very awkward at slow speeds! On top of all this, the clocks had started flashing on and off for no apparent reason! 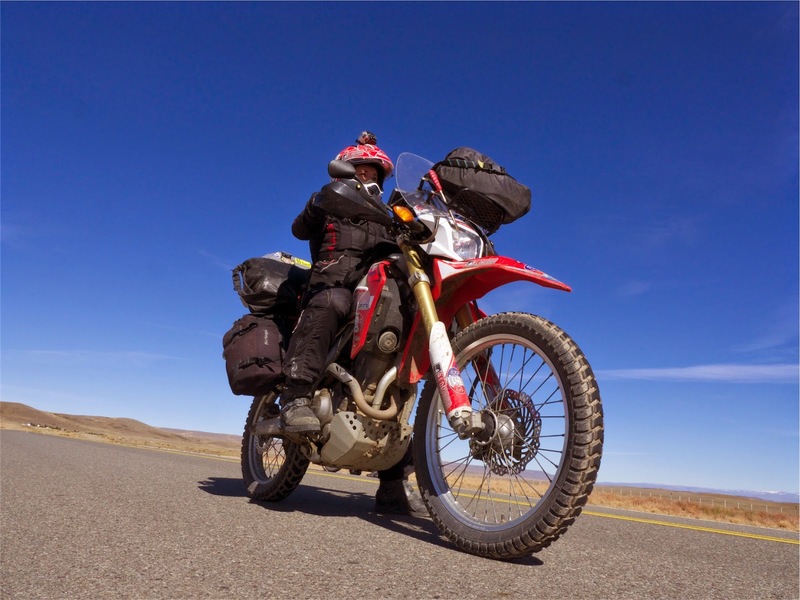 Ruta 40 runs from Rio Gallegos in the south all the way up to the top of Argentina and the border of Bolivia. 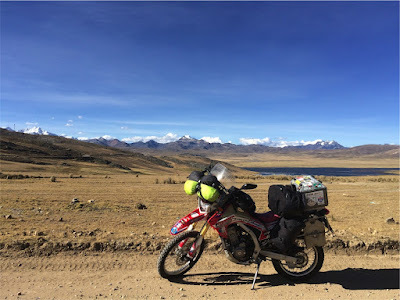 It is one of the longest highways in the world and this means I have now ridden on the top 3 longest highways as well as the highest road in the world. I decided these facts were worthy of a little personal satisfaction! Tick! It's already 3 weeks since I left Antarctica behind. Since then it has been mostly logistics. I flew to Punta Arenas where I celebrated my victory with a group of British guys. This "quiet night" ended in one of them falling down the stairs and smashing his head open leaving him unconscious in a pool of blood on the floor at 3am. This is what happens when you start drinking BLUE drinks after dinner! The emergency services was engaged for 10 minutes and things got pretty stressful for a while but he made it to the hospital and in to good hands in the end. His flight home was delayed for 10 days while he recovered but last I heard he was doing well. The adventure never ends....even when you want it to!!!! Need some more reading material? I have written a couple of articles for these guys lately and they have offered a discount to my blog readers - so here you go. I hope it will be of use to some of you. 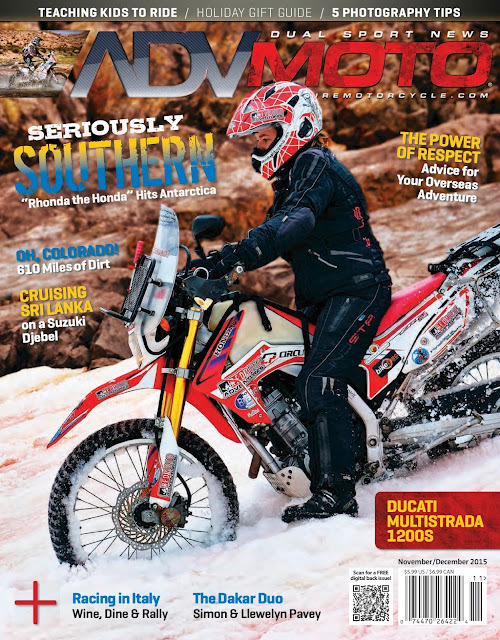 Adventure Motorcycle (ADVMoto) is a publication focused on the idea, "Ordinary people do extraordinary things." Direct mail paper copy subscriptions are available in North America and are found in more than 700 stores around the US, Canada, Australia, New Zealand, Singapore, Brazil and Puerto Rico. Subscribe online at AdventureMotorcycle.com and use code "OSBADV20" for 20% off one year digital or print subs! This morning I woke up and looked out of my port hole. Every time I tried to do this from my lying position I’d bang my head on the low ceiling in the process. This morning was no different! “Oh No” I exclaimed (right after “Ouch”) as I looked out of the window and saw what I thought was thick fog surrounding us! Then I realised it was condensation! I wiped it away and a sunny day was revealed! Clear blue skies and calm waters! We were going home! After some time scrubbing the boat from top to bottom in preparation for the new teams arrival, we jumped ship and left on the zodiac for one last trip to shore. Our 10 seater charted plane was waiting for us and in 3 hours we would be in Puerto Arenas. I can't say I wasn't glad to be getting back on dry land! 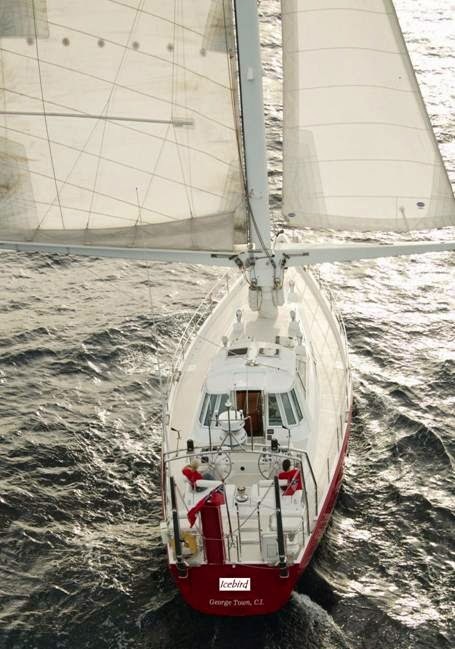 3 weeks at sea is a long time for someone who has never sailed before. I missed the road. 28 Feb - Are we there yet? Our crossing from Deception Island to King George went without further hitches. Arriving though, was not straight forward. It was choppy and we struggled to get a good hold with the anchor again. Getting the position right is just not easy in these conditions. We also had another boat in the harbour to avoid (He, of course, would be swinging too). Our first attempt at dropping the anchor ended in chaos as the message (through the wind) from the bow came back as “There is a cable stuck on the anchor”. We seemed to be dragging and the skipper could not figure out what to do. It wasn't making sense. The radios could not be heard over the wind and so two of us were shouting at the same time to relay the messages from the bow to the pilot house. Yesterday ended up a near disaster. The only words on the tip of my tongue were MAYDAY MAYDAY! A blizzard started up and so we all decided it was better to stay anchored where we were. Yvette and I made dinner and we all shared some wine. As I am the only white wine drinker (and I had had a bad day) I drank close to a bottle to myself. Everyone else polished off the last of the red supplies. After dinner it was decided that we would all need to be on Anchor watch again. The main issue was that we had anchored fairly close to the shore to allow for shallow waters. However, the rule when anchoring is that you have to let out 4 times as much chain as the depth of the water. This will stop the anchor from dragging (if you're lucky). However, it also allows swing and that is fine as long as the wind is blowing in the right direction. On this occasion (as with others) we had to be close enough to shore for the shallow waters and so this left us open to wind direction. If it changed we could end up grounded. 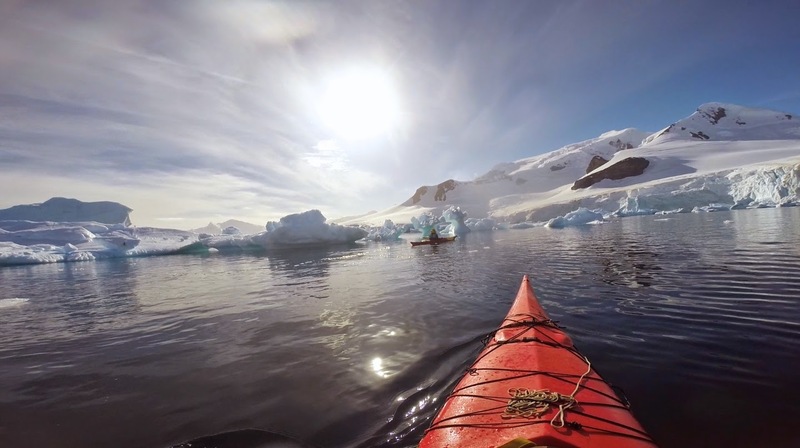 The only sure thing about the weather in Antarctica is that it changes EXTREMELY quickly. This is why we needed anchor watch. Anchor watches required. Came aground AGAIN Today! Had to climb the boom with Sally and Xavi to weight down one side of the boat as we tried to dislodge ourselves. This was becoming a habit. After a lovely evening of wine and steak I went to bed with an episode of breaking bad (series 3 episode 10). It had been a great day of sailing and sunshine! This place really is magical with a bit of sunlight on it! The weather had broken for a brief spell and we made the most of our respite, sitting on deck, taking in the unbelievable scenery and watching out for Whales. We met a family of Orcas as well as the now common sightings of humpbacks. From Vernadsky we headed North along the Lamaire Channel. The weather has been horrid over the last couple of days. Rain, snow and wind. We had an ice burg hit us during the night and we lost one of our lines so this morning there was a mission on to get a new line out to ensure we were secure and not swinging wildly while we prepared to leave. It was a lot of effort considering we were not going to stay long but the wind was too strong and unpredictable to take any chances. We have had a couple of smaller bergs hit us already. These are generally redirected with the Zodiac. 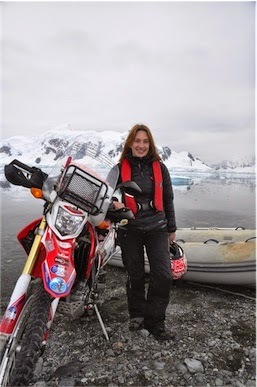 20 February - Second bike landing on Antarctica. I discovered the morning after our party that the best cure for a hangover is to get your dry suit on and go Kaiaking around the ice bergs! that experience. It was perfect! The next morning we left Water Boat Point and headed West. Having landed the bike at Paradise harbour we headed over to Water Boat Point to visit the Chilean Naval base - Gonzalez Videla. This historic site has been used for research since Shakelton's expedition in 1922. 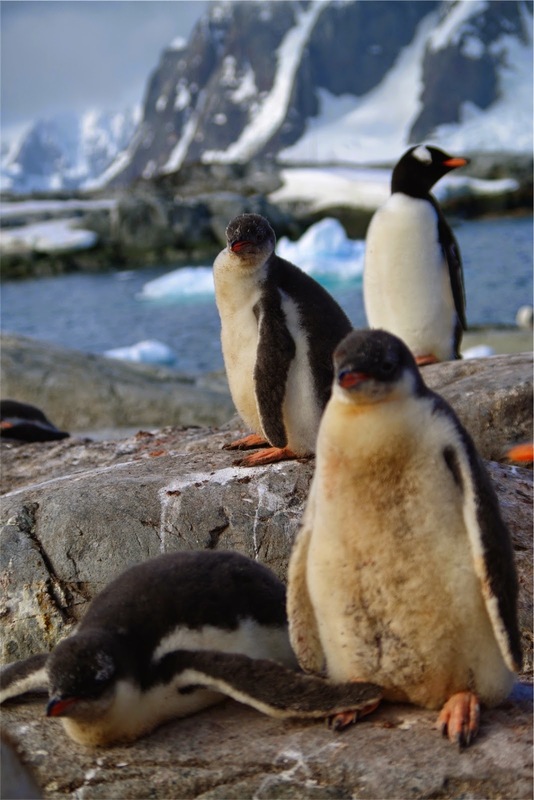 Today it is home to a large colony of Gentoo penguins and13 men (at least for part of the year). We radioed ahead and asked permission to land. Permission was granted and so we set about baking them a cake by way of thank you. They were near the end of their "shift" and presumed rations would be low. The white van man had stopped and between us we managed to get Rhonda in to the back of his van. He spoke a little English and was happy to help a biker in distress. It helped that I offered to pay him. We had strapped her down as best we could but it wasn't enough. The van was blowing all over the place and as the driver fought to keep her in a straight line, we heard an almighty crash and knew without looking that Rhonda had fallen. We stopped and managed to get her back up again with the driver constantly apologising. It wasn't his fault but he clearly felt responsible. The right hand mirror was hanging off now but no serious damage. I still felt I had got off lightly after the near miss with the truck so I was still smiling much to the drivers suprise! "Think positively" I told myself "and positive things will happen". I needed to remind myself of this after a pretty hard week of things not going particularly well all things considered! One hour later, I found myself sliding to a stop, on my side, in front of a Truck! Positively - The truck stopped! Since leaving the capital I have found very little of interest on my travels. Ruta 3 has been long, boring and very very windy. So much for my first impressions! Getting Rhonda out was no big drama thanks to the organised fashion in which the Argentinians conduct themselves. Despite having no Spanish skills, I decided to chance not using an agent on this occasion. Last time I tried this in Thailand (after ditching my scamming agent) I found myself in the middle of a warehouse shouting "Does ANYONE here speak English!". It was very frustrating as the process is complicated and there are generally many offices you have to visit and re visit during the process! People were patient with me here and I got through it with little frustration. The guys in the warehouse helped me uncrate Rhonda and held her while I put the front wheel back on. They were great guys and we had a giggle despite the language differences. This is the penultimate leg of my southward journey. From Ushuaia all that is left is getting across to Antarctica and then North all the way to Alaska! Did I just say that out loud? I think I did. Well if funds allow then hell I'm up for it! 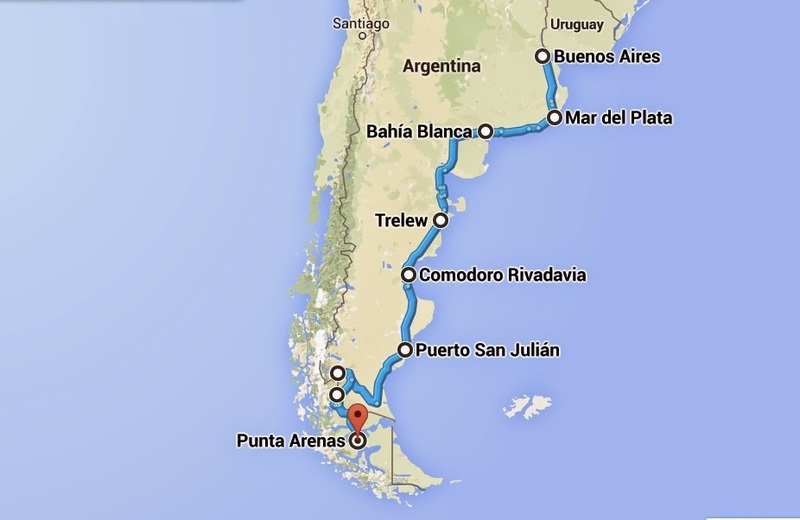 My route from Buenos Aires to Ushuaia is around 2,500 miles (4000km) and I have 2 weeks to play with. I have new tyres, new battery and a replenished sense of adventure! What a beautiful sound! That is one of the things that makes them special in my opinion. That and the fact that they are really really cute! I'd like to tell you I was in a remote location somewhere in the bush, Leatherman in hand preparing that evenings dinner of grilled python and Turkey Rhubarb. In reality I was sat on the veranda at my second cousins house somewhere in the suburb of Sydney. There were three of them in all. I heard them before I saw them. 3 Kookaburras laughing in the tree above me. I've seen a few since I got here but I've never heard them laugh. I didn't know they did! If you haven't heard the sound then check it out on Youtube. When you hear more than one you understand why the collective noun is " A RIOT of kookaburras". It was a lovely sound. Perhaps because it was my first time hearing it. Perhaps because there is something special about these birds. This moment more than made up for the fact that I had missed my chance to be interviewed by Channel 7 in front of Sydney Opera House earlier that day. I was keen to get started this morning but Rhonda had other ideas! The temperature had dramatically dropped in Walcha. It's seems to be the coldest place in Australia. I'm not sure why as it's not at any great altitude. Personally I enjoyed the cool air and wrapping myself in blankets that night. In fact, I ended up staying two nights and was surprised to be given the second night for free. I was also invited for dinner with the family who owned the Walcha Motel. Andy (the husband) turned out to be a biker himself and was keen to hear my story over dinner. A lovely surprise and a welcome discount!